If you are looking to get top-quality, high-performance DCP-L6600DW Toner Cartridges at unbeatable low prices, you’ve come to the right place. Here at 1ink.com, we would wonder why they would ever pay more money for brand name cartridges when you can get the same quality at a fraction of the cost? Our Brother DCP-L6600DW compatible Toner cartridges are expertly made according to OEM specifications so they work seamlessly without voiding your printer’s warranty. We subject our toners to a rigorous testing process to ensure maximum efficacy and performance every time. The Brother DCP-L6600DW Printer works with our compatible Brother TN880 Toner Cartridges, delivering a high yield of 12,000 pages, making it great for all your big print jobs. These toners deliver crystal clear, smudge-free text consistently and reliably. 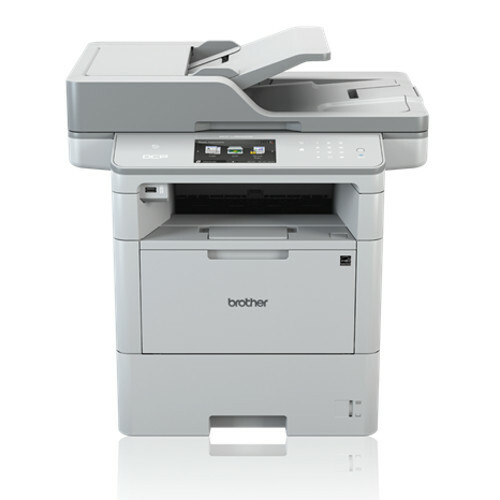 It also is compatible with the Brother DR-820 Drum Unit with an estimated lifespan of 30,000 pages. Each one of our top-quality products not only has the best discounts around, they’re also backed by our 100% customer satisfaction guarantee so that you can always save big!